What Do You Make of Elon Musk? At first sight he is a rich self-publicist – and he certainly likes the spotlight. But unlike most rich celebrities, he may just be one of the few people who can really make the World a better place. But, he isn’t a conventional philanthropist like Bill Gates, who is using some (but only actually a small part) of his vast wealth to alleviate problems in Africa. Just an aside, we often see persistent tax avoiders deciding that rather than pay their taxes and give Governments money they prefer to use some (and sometimes this is tax-deductible) of their money to do the very things Governments are supposed to be doing. Is this fair? Or does the end result make the Greed in the first place somehow laudable? I am still not sure. But Elon Musk is also a visionary. Luckily he is also very rich. But he seems to be using much, if not all, of his wealth to create a better world through technology. 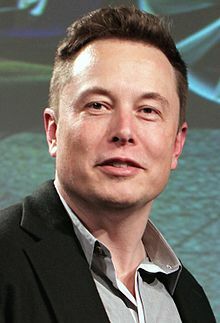 He is at the forefront of electric cars through his Tesla company. He is developing ‘Hyperloop’ a new form of transport using MagLev inside a vacuum pipe – potentially capable of speeds of 700 mph. He is planning a colony on Mars. And he has his fingers in hundreds of other pies, some potentially game-changing, some which seem plain daft. He made his fortune largely through Paypal, which has simplified buying stuff on the internet. On Tuesday he launched a rocket which (more or less) lands back on earth to be re-used. But the payload was a Tesla car with a non-human astronaut set to (he hopes) eventually head for Mars and then out into the wider cosmos. This has reportedly cost over 90 million dollars, a colossal waste of money…or the best advert ever for Tesla and Musk, or an awe-inspiring feat? Opinion may well be divided. One thing is for certain, we cannot stop technological change. And I personally would rather have a maybe crazy, but visionary, man like Musk involved in that technological change than one simply interested in making more and more money. The nagging thing is….you can never be quite sure, can you?